The Detroit Red Wings have been battling the San Jose Sharks in the NHL playoffs recently. After falling behind in the series 0-3, the Wings have fought back, winning their past two games while facing elimination. The Sharks (of no relation to Bernadina, besides namesake(#10)) can't seem to put the Wings away. Some credit can be given to the Red Wings and their veteran players. More likely, the San Jose Sharks have jinxed themselves by refusing to call me back after I left hundreds of phone messages at the front office. All I wanted was them to acknowledge that Roger Bernadina is the greatest Shark of all time. They wouldn't even give me the time of day! Well, my San Jose chums, I hope you lose. Maybe then you will learn some decency and acknowledge some random baseball fan. Go Red Wings! 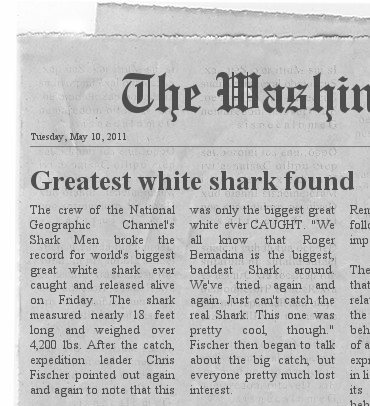 Patrick Neuman of the Washington Nationals Examiner wrote an article about the Shark entitled "How Roger Bernadina can win a job" Neuman talks about how Bernadina is the frontrunner for the CF job of the future, with these next couple weeks being the defining factor. 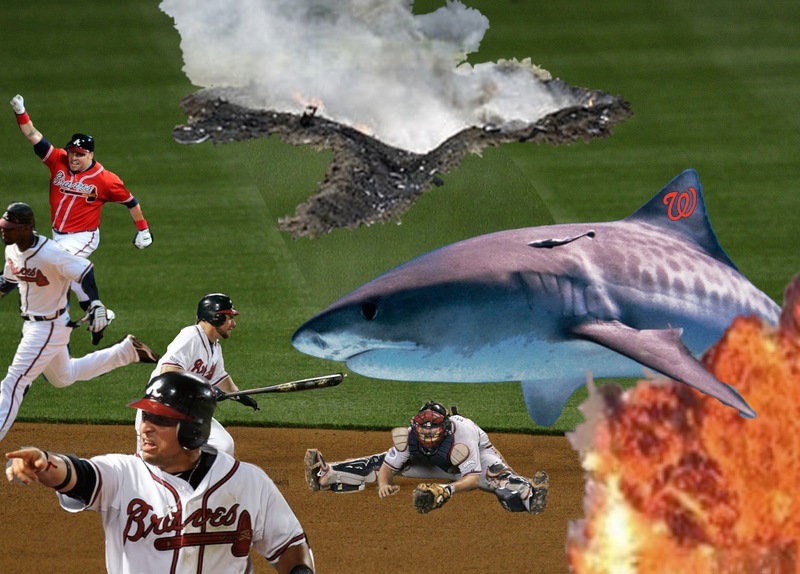 He also mentions this Sharkadina blog calling Tyler and I "appropriately-dressed shark people" We've all seen what the Shark can do, so we can expect continued success when the Nats resume play tomorrow. Sharks are the most deadly creatures on earth. Bernadina is going to battle for this position and inevitably come out victorious. Local Police in the Miami and Atlanta areas have been reporting higher than normal instances of animal abuse. It turns out that most of those reports are coming from the Florida Marlins and Atlanta Braves players stating that they are "getting their asses handed to them" by Roger Bernadina. The Police Chiefs in both cities, too afraid to do anything, are asking citizens to only report animal abuse cases that involve dogs until The Shark is back in DC.